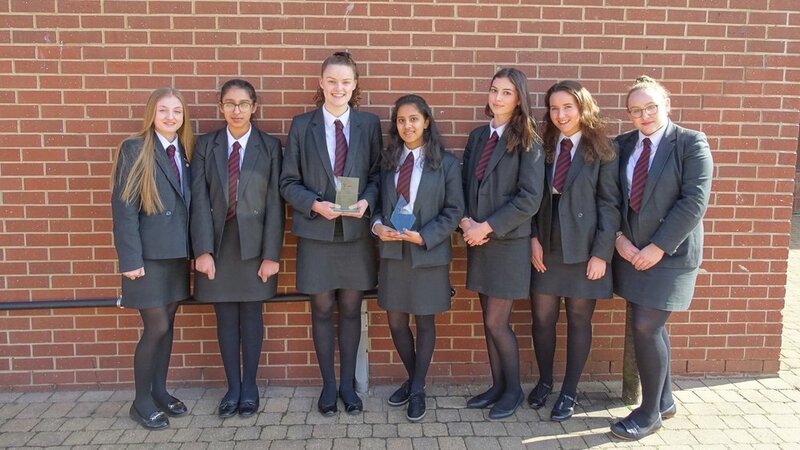 Young Enterprise team, Midnight, consisting of students Emily Gray, Asha Lorenz, Izzy Horrocks, Alice Jeffers, Merlin Jojan, Fran Saunt, Elisha Asif and Sophie Black, recently won the Hull area Young Enterprise competition and will now progress through to the county final on 14th May. What is young Enterprise and why did you decide to take part? What is your product? What makes it special? “Our product is called 'The Jungle Cookbook' which contains simple (yet delicious!) recipes for children. We visited the Junior school a few months ago for some market research and it soon became clear that the children were passionate about helping animals and the environment, but weren’t sure how to. We decided to incorporate fun facts about animals relating to our recipes and ideas on how to help them. We also have three challenges in our book which help to inspire children to minimize waste, meat consumption and how to incorporate super foods into their daily diets. There's also a downloadable certificate at the end of the book that you can print out when the book is finished. The cookbook not only educates children on how to be sustainable, but it is also sustainable as it is made on FSC paper from sustainable forests in Europe; which has a much lower carbon footprint than recycled paper. How did it feel to win the Hull area final? “We were all nervous for our presentation, especially as we were towards the end of the line-up so we had seen the high quality of the presentations prior to us. Nevertheless, we delivered our presentations in the hopes it would be good enough to get us through to the following round. How are you going to prepare for the regional final on 14th May?